New function ! New design ! New Type ! 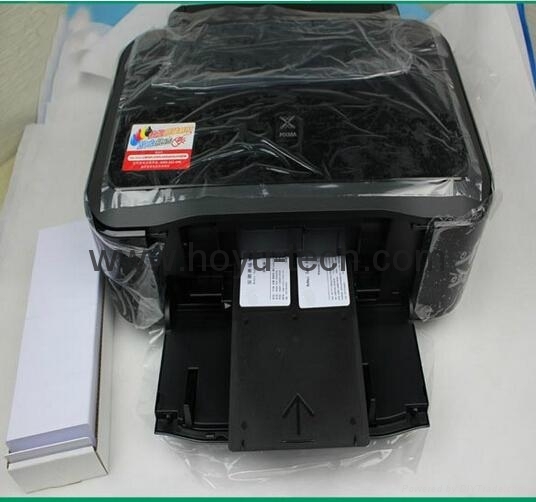 1.Use this tray in place of CD/DVD on these printers:Canon inkjet printer. 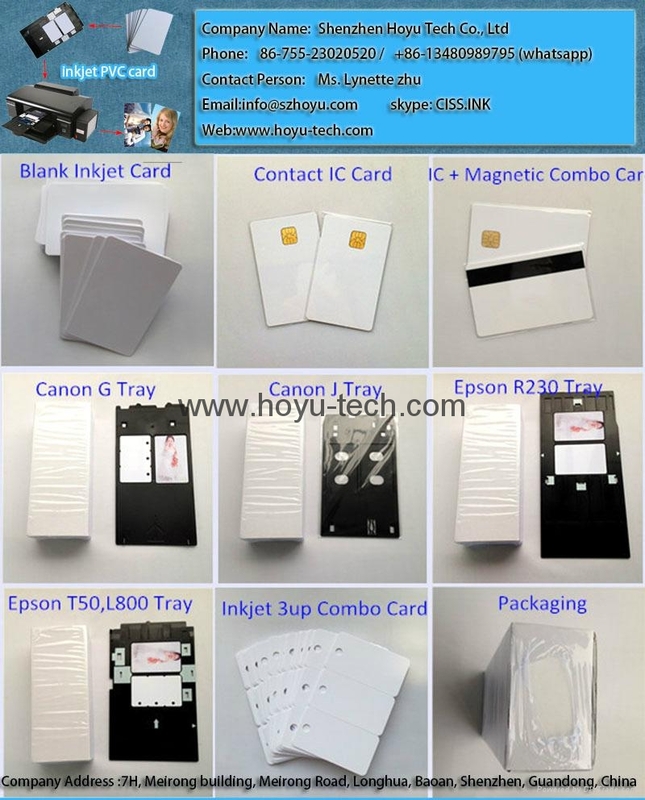 5.The inkjet PVC card tray works with the Canon printers. 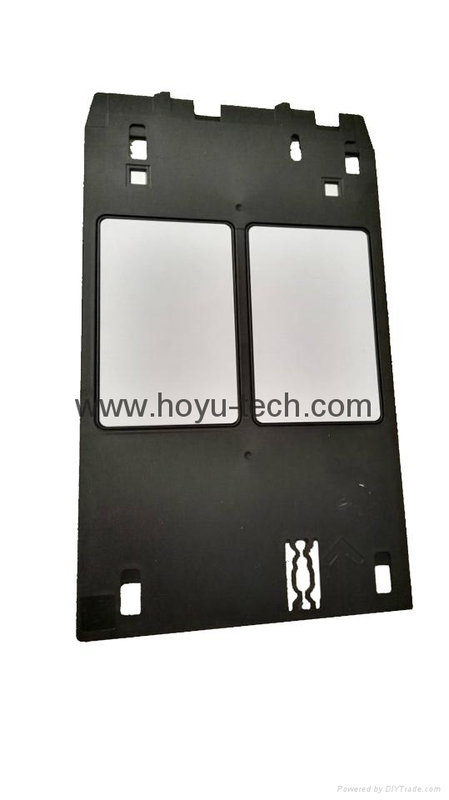 Tray to help with your ID printing needs. 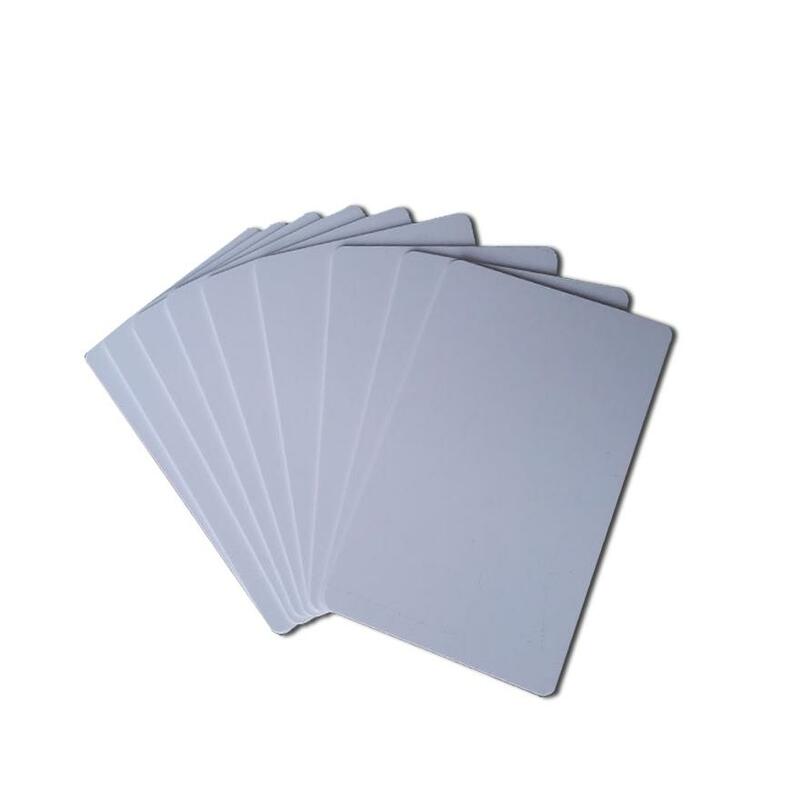 The tray fits standard pvc cards,and you can print two cards at the same time.Pirnt ID cards for your company or organization,way cheaper than thermal printers.Use our special blank cards made for inkjet printing and make you IDs look great!See our other items to get these card. 4.Double side and absorb normal dye ink. 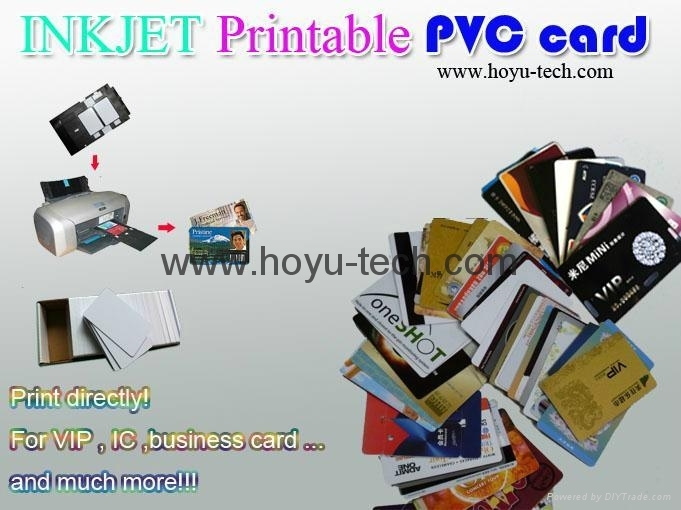 8, Quick, easy, customized and professional to make PVC card. Low investment, high profit. 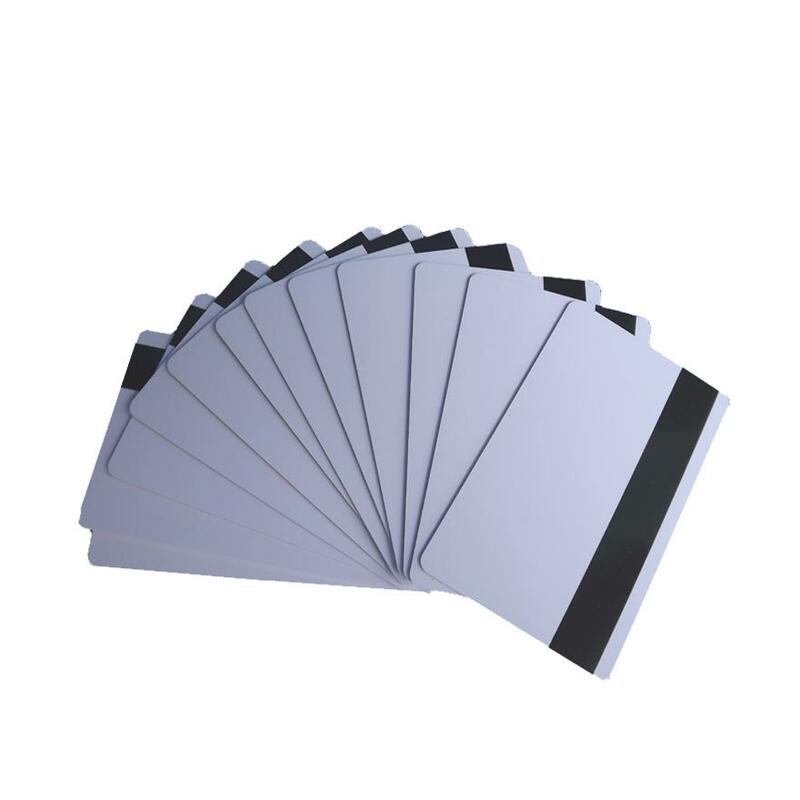 Apply to: VIP card, IC card, student's identity card, magnetic card, etc. 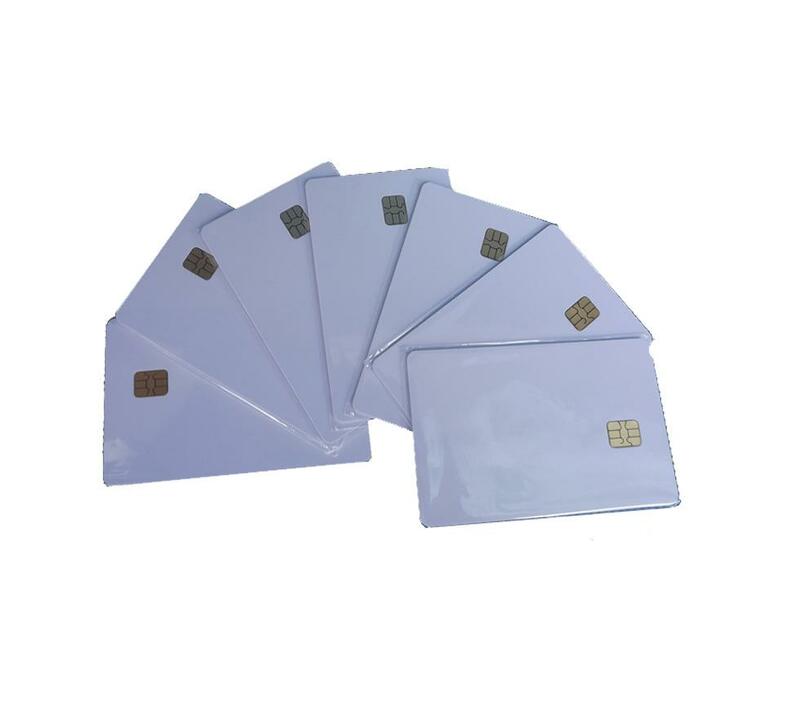 Also other fields, like: bridal veil photographic, key tablet, etc, there is no limit size for our Instant PVC card. If you need special package,Please notice to me when you send inquiry. Reply: No, Normal dye ink or pigment ink you use as usual. Reply: yes,you could write any word on the card with any type of the pen. 4. 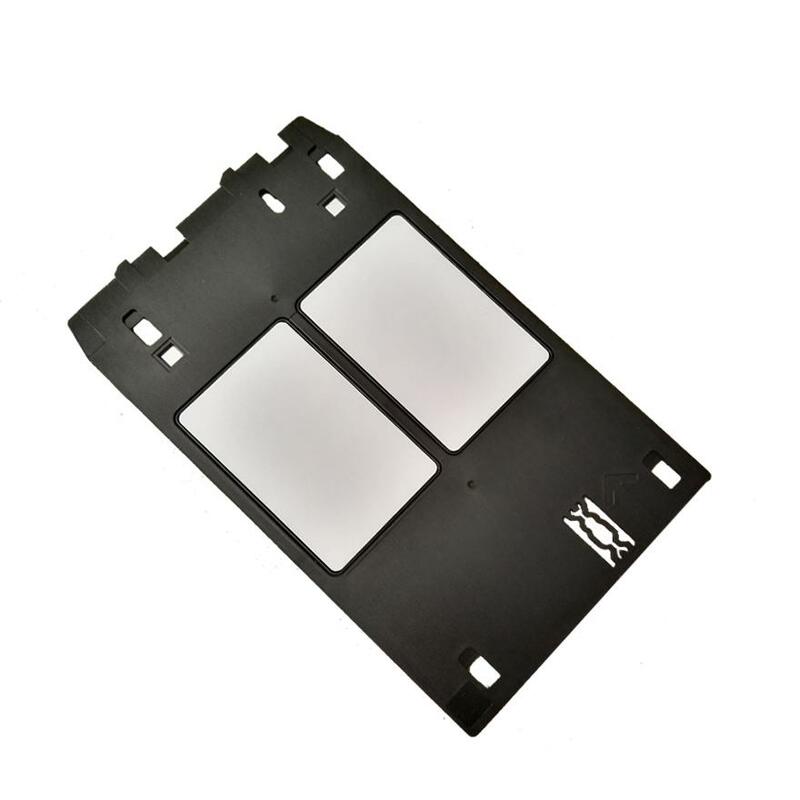 Ask: if you have scratch on the surface of card ? Reply: no, the surface are very smooth. 5,Ask: This card if waterproof ? Reply: yes, It waterproof,we have tested it . 6, how long can we use after we print it .